Triple way isolation to break any Ground loop. ★ Input to output connector with double barrier Isolation feature. ★ Can be used as RS232 to isolated RS422 interface converter. 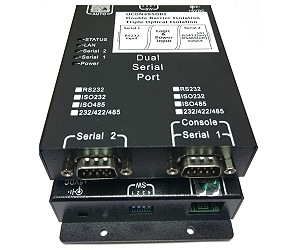 ★ Can be used as RS232 to isolated RS485 interface converter.